This ultimate tools bundle is only a few clicks away! 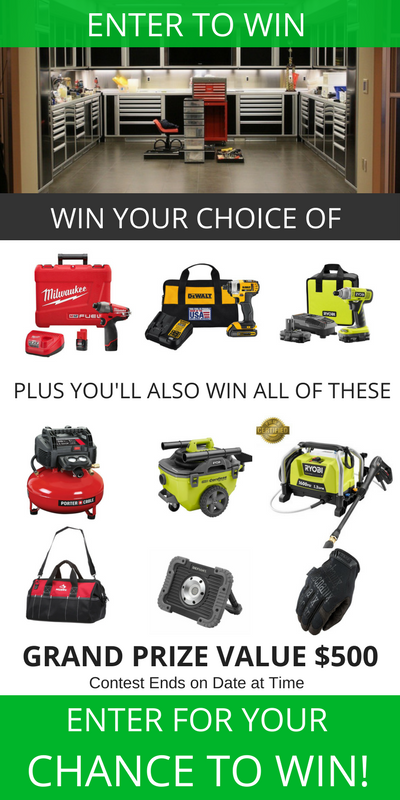 Enter to win now and lock in your chance to grab this killer tools bundle for your garage! This promotion is in no way sponsored, endorsed or administered by, or associated with Facebook, Twitter, LinkedIn, Pinterest or Google. You understand that you are providing your information to the owner of this contest and not to Facebook, Twitter, LinkedIn, Pinterest or Google.